Here's a couple of twisted holiday spots SapientNitro created for Footlocker. In one, a son, who looks way too old to still be living at home, is holding one of Santa's reindeers for ransom unless he gets his favorite pair of kicks from Footlocker. In another, Sanata is chastised for lusting after a pair of sneakers under the tree. He's asked to leave without getting his milk and cookies. Both spots are a welcome distraction from the cutely overloaded annual pantheon of sicky sweet advertising we see each year. Remember when you were a kid and you couldn't wait for your parents to wake Christmas morning so you could rip open all your presents? Or how about when you had kids who used to jump on you in the morning in an attempt to get you to wake up so you could witness their happiness while still half asleep? 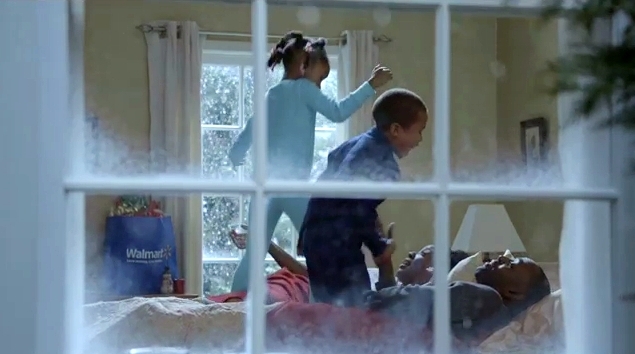 This new commercial from Walmart captures all that happiness in one :30. 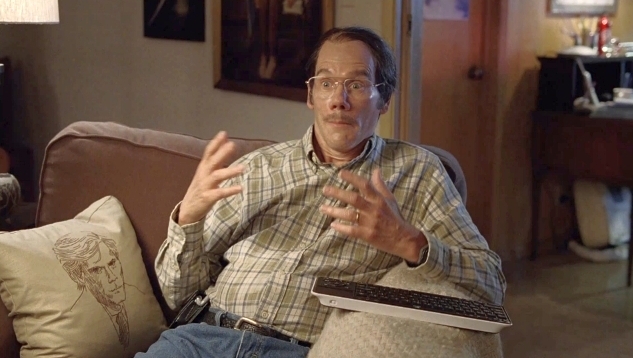 This round of last week's top stories brings us one of the funniest commercials we've seen in a long time; Kevin Bacon playing Kevin Bacon's biggest fan for Logitech. He nails it perfectly. In other popular stories this week, AT&T very humorously attempts to tell us it has the best 3G service, Ian McKellen is seduced by Marion Cotillard, Dirdle-dressed hotties dance to promote Bavarian tourist destination, members of the Lingerie Football League support PETA and Dr. Ashley proves only the Old Spice guy can be the Man You Wish Your Man Smelled Like. 2. Worst Bra Commercial Ever! 4. AT&T Has the Fastest Mobile Broadband. Um....Hahahahahaha! Who Knew a Kia Optima Was So Dreamy? We love the tagline of this new David&Goliath-created Kia commercial, "No one ever dreamt of driving a mid-sized sedan. Until now." This tagline follows the mystical adventure of a boy whose bed turns into a moving vehicle that takes him on a magical tour into the night towards a very dreamy looking San Francisco. As he crosses the Golden Gate, he's accompanied by a white horse, a couple of knights and a very Hogwarts Express looking train...filed with animals and a very cute looking little girl. The boy and his bed then zoom through a tunnel and reappear as Kia Optima and grown man. Hey, it's just a car commercial but it's far more engaging than most of the other automotive crap out there today. Thanks, David&Goliath...who had wondrous production assistance from Beacon Street Studios and director Lance Accord. AT&T Has the Fastest Mobile Broadband. Um....Hahahahahaha! Given AT&T's service woes (perceived or otherwise), this new campaign from BBDO will make you laugh...in more ways than one. In an attempt to reinforce the notion (perceived or otherwise) AT&T has the fastest mobile broadband network, humor and awkwardness are used to demonstrate the benefits of receiving mobile broadband information fast and first. Otherwise, you're left out of the joke. Or you look like an idiot. But, really. 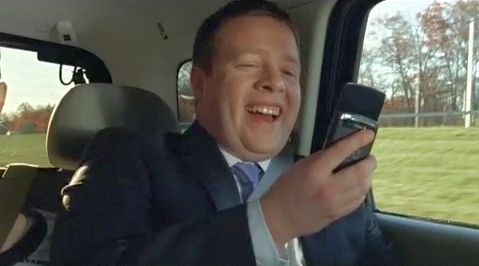 Who will be laughing at who...and about what in these commercials? AT&T isn't exactly the poster child for fast and reliable mobile phone service. In fact, it was just rated the worst cell phone provider by Consumer reports. To be fair, an honest comparison between AT&T and Verizon can't really be done until the iPhone is on Verizon as AT&T claims it's the bandwidth hungry iPhone that drags its service down. It might drag Verizon down too but we won't know that until Verizon gets the iPhone sometime next year. If you're going to be a hockey fan, you had better respect the team, their dedication and, above all, their uniform. Especially when you're a fat slob who can't put ketchup on a hot dog properly. It's just common courtesy after all. But if you simply can't abide but that simple code of conduct then you had better be ready for the ramifications of your actions. Check out the entire video series here. The knock out. The flame out. The crash. We all fall down. That's the primary message from GM in this Goodby, Silverstein & Partners-created commercial which ran in select markets over the Thanksgiving holiday. In the ad we see failure, dejection and sadness. But, we also see rebirth, rejuvenation and success. GM did, indeed, fall down. They fell hard. And they needed help to get back up. And they took it. But they aren't without appreciation for the help we all gave them (yes, it was our money the government gave them) and they show their gratitude for our help in this commercial. 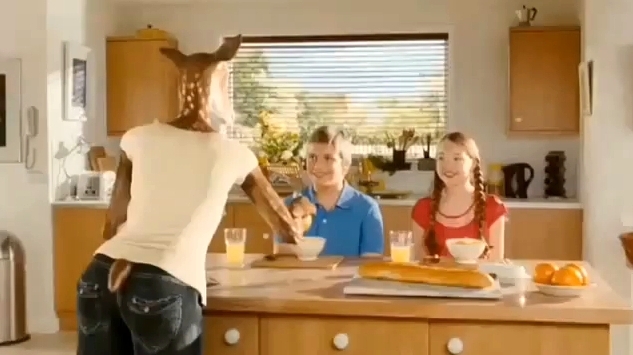 - Oragina spoofs commercial after commercial after commercial. - Las Vegas ad campaign targets recession survivors. - If you follow fashion advertising you'll be interested to know Anna Dello Russo is out with a new campaign for her fragrance. If you're not, then just move right along. - Interested in what online video can do for your marketing? Check out this webinar by video blogging expert Steve Garfield. - And don't forget to submit your hotness to Advertising Hotties. 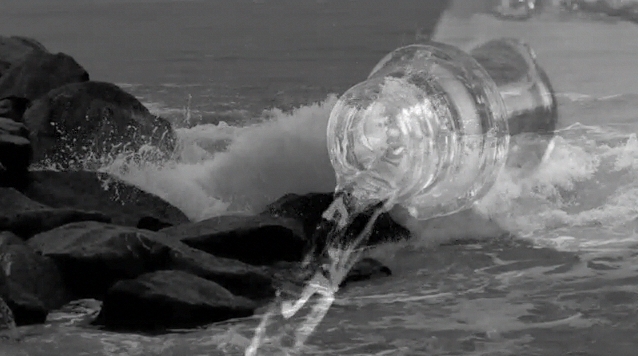 OK, this is hilarious, Poking fun at very over done ad concept you've ever seen, Rokk Vodka brings us back to reality. Delivered in seductive Euro accent, a beautiful woman intones, "Luxury, Status. Desire. And...a Viking." Oh, and, of course, a vodka. From that point on, it gets silly. Oh and there's Andy Samberg and Akiva Schaffer too. We love it. Booze is just booze. 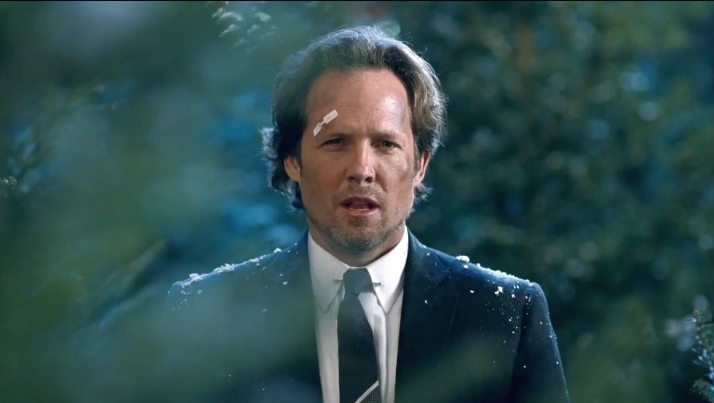 According to Allstate Insurance, you never know when mayhem will strike. Another installment from the Leo Burnett campiagn has our friend, mayhem, taking on the role of a Douglas Fir. A happy go lucky family is out for the evening picking up their Christmas tree. On the ride home, unbeknownst to them, the three comes lose from the top of their car, falls to the road and causes another car to crash. The talking tree informs, "If you have cut rate insurance, you may not be covered for this." What a Merry Message for the holiday season. But, as we've seen before from Mayhem, mayhem can strike at any time. The work is a nice tie in to the holiday season and it's an entirely probable scenario.